Help solve the case! The Murder Mystery Dinner Theater event is a fun-filled night of great food, wine, intrigue and entertainment for all to enjoy and participate in. 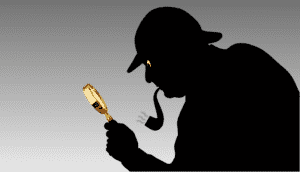 Join us and test out your Sherlock Holmes skills! Join our mailing list to receive special discounts on birthdays and anniversaries, as well as notifications of Special Events at Le Chene!